This kid version of Ariana Grande and Troye Sivan's 'Dance to This' video is totes adorable. Just when we thought we could not love Troye Sivan and Ariana Grande's video for 'Dance to This' any more - along comes these cute kids to steal the show. 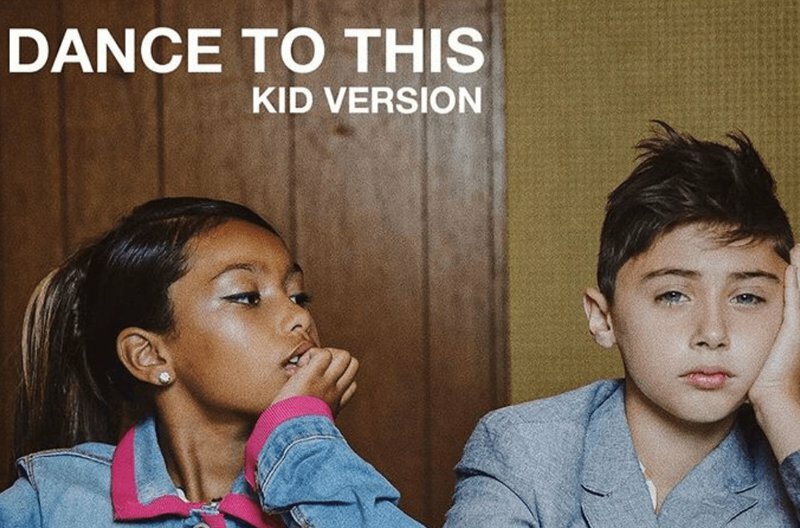 Ten-year-old Caden Adamonis, who is a professional dancer, and seven-year-old model Anaiiyah Reyes worked with director Jake Wills to remake the popular video and it is all kinds of adorable. The talented youngsters wear similar outfits to the ones Troye and Ariana did in the original video. Anaiiyah even sports Ariana's trademark ponytail. The kid version of 'Dance to This' premiered on YouTube on Tuesday and it already has over 300,000 views. The coolest kid ever! I had fun filming with you @caden_hsda you’re a great dancer! So much fun! Troye approves of the remake. He shared a clip of the video on Instagram with the caption: "NO NO NO THIS IS TOO MUCH THE PONYTAIL." Who did it best? Our money is on the mini-me's.